Oney’s articles offer intimate portraits of fascinating, heroic men. Across forty years, Steve Oney has written numerous articles for national magazines concentrating on the challenges that men face. 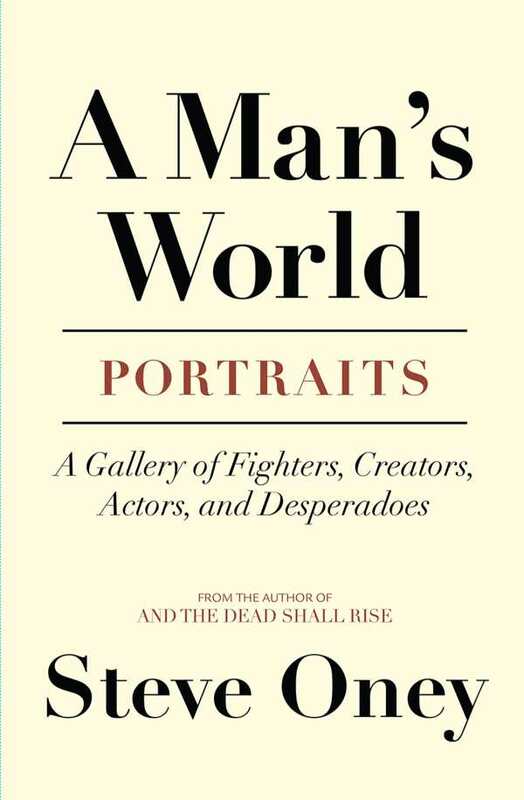 Consider this book, carefully curated into “fighters, creators, actors, and desperadoes,” a celebration of the lives of twenty such men. That learning extends from the author to the reader in each wonderfully drawn portrait. Some aspects of these individuals’ lives would otherwise be hidden from public view. Former college/professional football star Herschel Walker, for example, had a dissociative disorder and exhibited multiple personalities after retiring from his sport. Despite this challenge, Walker built a highly successful post-football career in the food business. Then there is the story of Andrew Breitbart. Published in 2010, this piece is highly relevant today, given former Breitbart executive Steve Bannon’s prominence in the Trump administration. “The second I realized I liked being hated more than I liked being liked—that’s when the game began,” says Breitbart in what may be the most telling quote in the entire book. Some individuals here are well known, and others are probably not known at all, yet each person’s life is illuminated by Oney’s descriptive writing. Every sketch is a literary pearl unto itself. With proper amounts of intimacy and poignancy, Oney’s portraits variously feature humor, tragedy, failure, and success. They are a sometimes raw reflection on humanity and on the lives of men. This makes A Man’s World, by Steve Oney, a special gift to every reader.